Perfect mascot sculpture! 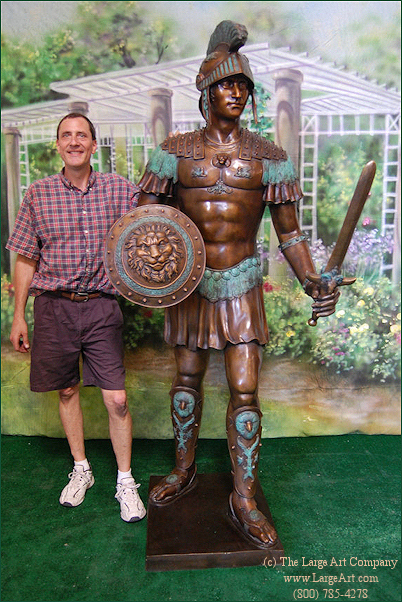 This Roman soldier (Spartan or Trojan) is over 7' tall! The base measures 22" wide x 27" deep x 2" tall.